British manufactirer - Sendo is not very famous in Russia, but soon the situation could cange because the company is going to launch their phones in this country. Firstly, entry level phones will appear, most liketly Sendo S230. It is almost a copy of such models as S200 and P230. These models have only cosmetic differences. So let's turn to the phones themselves. 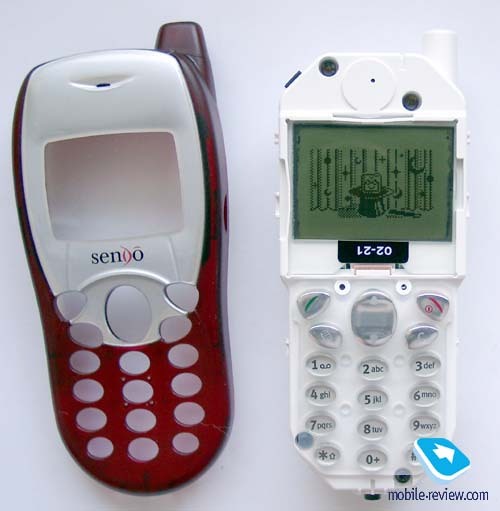 Sendo S230 has an original design; it’s really an achievement. An external antenna is almost placed in a phone, what is very convenient and allows to wear the phone in a jeans-pocket. 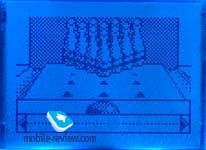 The phone exterior is made of translucent plastic, behind which hardware is seen. The phone is available in 4 colours: Midnight, Ink Blue, Frosty Mint and Pepper Red. In addition to standard colours you can purchase covers of other colours. There are both monochromatic and graphical covers (for example devoted to Saint Valentines Day). Such colour covers cost about 25 USD in Europe. It’s very easy to remove a rear cover; only one lock holds it. But we can’t say that the phone is fragile, it scratches a little bit when either you squeeze it strongly or type a message, pressing keys and holding the handset. 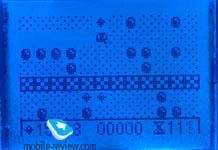 Scratches are not heard because of keypad tones. 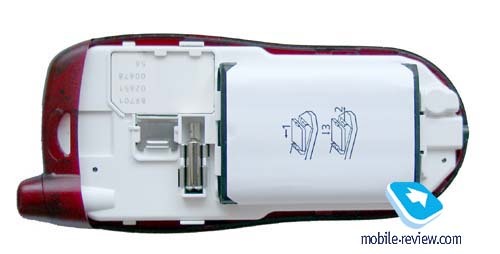 Front cover is removed with a help of plastic stylus, which is included in the standard delivery kit. But it’s not difficult to remove it with a hand if you want. You can notice that a keypad also can be removed, but there are no other kinds of it yet. A silver rim around the screen is typical to the phones of standard colours. Navigation keys are made in this colour too. Under the screen there is a vertical scroll key, C key, soft-key and a special quick access key (its function is depend on SIM-card type). 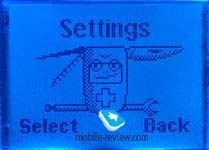 It is used as an access key either to SIM-menu if it is available on the SIM-card or a Message menu. Alphanumerical keys are also made of plastic, keys are well-spaced and it’s rather easy to dial a phone number. 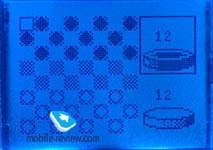 Both the keypad and the screen have a blue backlighting; all the keys are highly visible in different lighting conditions. 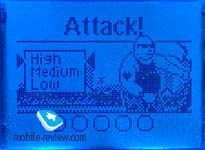 A display has a resolution of 96x64 pixels and contains up to 4 text lines and one service line. The information can be easily read. It’s possible to set own wallpaper. Unfortunately, there were no pre-installed wallpapers in our phone except one. The phone has a nickel-metal-hydride battery of 800 mAh capacity. According to the manufacturers the operating time of the phone is 120-230 hours in the standby mode and 150-21- minutes in the talking mode. Time of full re-charging is about 2 hours. Pay attention, that a SIM-card holder isn't placed under the battery. It’s rather handy, but the holder is blunt, so, sometimes there are problems to insert a SIM-card. Press a left soft key to access a menu. 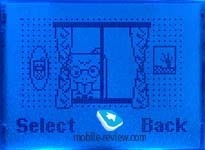 A main menu looks like a list of items (an item and an image) similar to phones from Nokia. Using a special key, you can scroll items. Shortcut number navigation is not available. Let’s turn to the main functions of the phone. Phonebook. 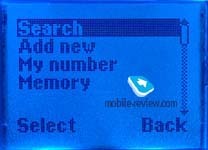 There is no memory in the phone, only SIM-card memory is available, there you can store up to 200 phone numbers. One phone number can be added to one name. There is also a quick search by name in a total list. That is all about phonebook capabilities, they are very ascetic as you see. It’s interesting that you can choose a nick to the subscriber, which will be used in SMS-chat. Messages. There are more than 50 nice pre-installed pictures (represent different emotions) in the phone. Unfortunately, it’s possible to receive such pictures only in case if you have a phone from Sendo, in the phones of other manufacturers they will be changed to emoticons consisted of punctuation marks. Internet. Wap-browser in version 1.2.1 is installed in the phone (Microsoft Mobile Explorer, version 3). The possibilities are standard. Sounds. 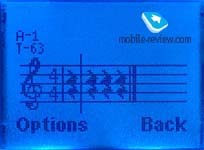 You can record up to 5 your own melodies here. They can be represented as notes or with a help of staff. Up to 48 polyphonic and usual melodies are available. They sound a little bit different that we used to, as they have a quick tempo and low key. An unusual feature is equalizer. You can select one of the three settings (normal, high and bass), caller voice will be sound different in all three cases. Settings. There is an alarm-clock in this menu, it’s very simple, for example recurrent alerts are not available. It’s better to switch off an animation here, otherwise, it will be difficult to move through the items (up to 3 seconds for one item). As we’ve mentioned above there is only one type of wallpaper here and it’s not possible to choose another one. Services. Different network services are collected here, nothing else. Extra. There are only two items in this menu: games and graphics. 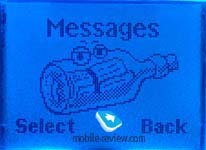 In the user’s guide we can read that a phone allows to receive images and logos in different ways. Then, you can associate them to the phone numbers in the phonebook or menu items. In reality you can do it easily, up to 5 pictures can be downloaded. 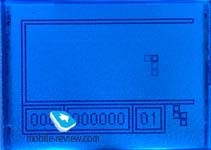 There are 12 games in this phone, it’s really a kind of record, only some phones from Samsung have the same number of games. KombatClub. 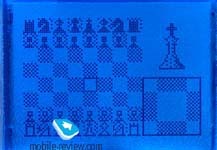 It’s an interactive game, you can play it with your friend via SMS-messages. 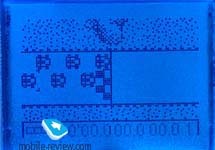 This game is similar to KungFu in the phones from Siemens. 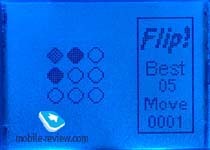 Ten Pin. Something like a bowling, there is no sound accompaniment here and it’s not interesting to play. FlipIt. Your mission is to turn over all counters on the field and make them of the same colour. Blocks of counters can be turned only by blocks, what complicates a task. Quaddro. Here your mission is to collect equal balls in respective columns. It's not captivating. Scissors. A childish game, which is rather bothering. Splat. Here you need to catch mice, which are hidden in holes. 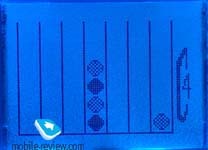 All holes are associated to alphanumerical keys and you should press a respective key as soon as possible. As for me it’s not very interesting. Cartz. You maze in a small car here, there is no sound accompaniment, only vibrating alert works. Gem Raider. You should run along the field and gather stones, but sometimes cobbles fall down. 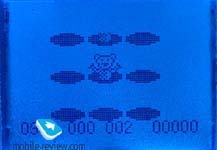 It’s a kind of old computer game, may be it can benot boring for those who remember an old original version of the game. Sumino. It’s a Tetris, engineers only change a name of the game. Draughts. It’s also an interactive game. You can play either with the phone or another person via SMS. Chess. Two modes are also available here. Reversi. The same with this game. A connection quality is quite acceptable. You can adjust a volume with a help of vertical key during the talk; it’s quite sufficient. Receiving quality is typical to the phones of low-end class. Vibrating alert is average; it is not always felt. The ringer is low; sometimes calls can be missed. The phone is ambivalent. On the one hand, there is a great choice of different covers, on the other - there are many unreasoned features which are common in other phones. 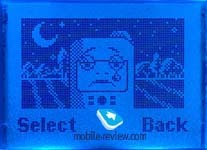 For example, majority of low-end phones have a phonebook memory, lithium-ion battery and some other nice features. A great variety of games is a fiction in reality; they are very old and not captivate, a possibility to play with another person is strongly limited, firstly, because such phones are not widely spread and secondly, these games are rather expensive. We can notice that all existed functions work without problems. 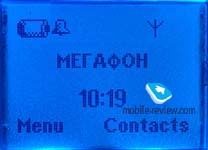 There is a total list of 30 last calls with date and time indication. When you switch off the phone or remove the battery, the phone asked to confirm date and time. Sometimes these settings are setup very slow. Shortcoming of the phone is a SIM-card holder, a virtue is covers consruction. In Europe Sendo S230 cost anbout 120 Euro. We think that it is an overestimated price, taking ontio accoun gret amount of rival offers. It's interestin that all products from Sendo are aimed to youth market. The phone would be popular in case if the price is about 80 USD, otherwise it won’t be too much in demand. We can recommend this handset to those who like the design of the phone and who need nothing except connection. 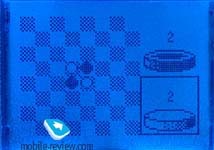 S200 has lesser number of games (only 4), but it is equipped with the lithium-ion battery. It’s interesting that operating time of both models is comparable, though difference in price is also not great – only 5 Euro. P-series is similar to phones of S-series; they differ mostly in design features. So, describing only one model - Sendo S230, we get acquainted with all low-end phones from Sendo.